One can probably use the old metaphor about the acorn not falling far from the tree when describing this latest effort by Dave Bainbridge, probably better known to many as a founding member of Iona, where he plays a good number of instruments (keyboards, all sorts of things with strings) and is responsible for much of that band’s compositions. 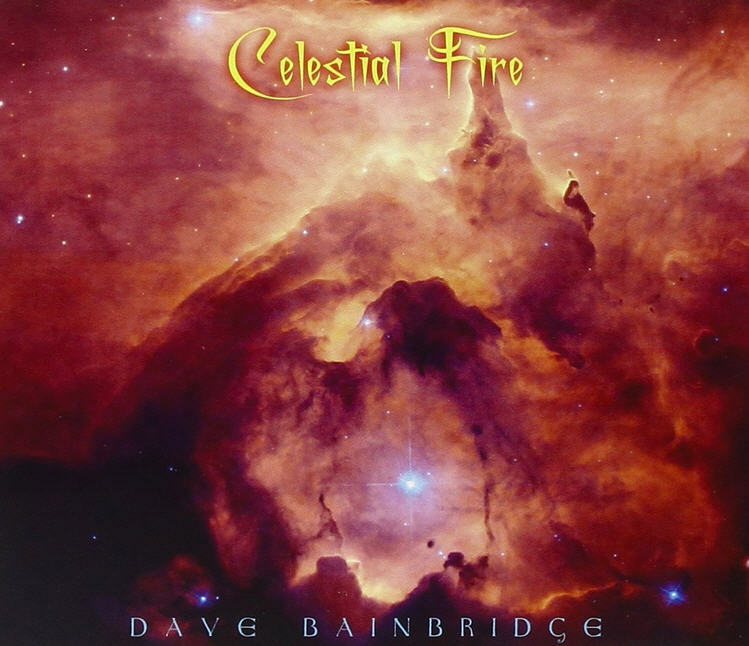 Celestial Fire is his second solo album, the first since 2004’s excellent Veil of Gossamer, and it’s fairly safe to say that anyone who enjoyed that, and the many albums by Iona will find plenty to enjoy herein. This is a long disc, double album length at around 74 minutes, with lengthy symphonic pieces that work together as an extended epic with recurring themes, featuring angelic voices, spiritual Christian lyrics, Celtic folk-rock, and a stronger nod to the classic adventurous progressive rock sound than Iona might normally provide. While Bainbridge does sing some of the backing vocals, he has brought in a number of different singers to handle lead vocal duties, including Yvonne Lyon, Damian Wilson (Landmarq, Threshold), Sally Minnear, and Julia Malyasova, track depending. All of the former plus more contribute backing vocals as well on other cuts, plus a large cast of players contribute on all the instruments that Bainbridge doesn’t play himself (that would include bass, Moog Taurus pedals, drums, percussion, violin, viola, cello, uillean pipes, tin whistle, flute, saxes and more) including many of his colleagues from Iona. From beginning to end this is a continuum of ever-evolving compositions and stunning arrangements, making for a powerful and panoramic production that pulls out all the stops and pulls the listener in. It’s clear that a lot of work went in to creating this, and it succeeds on every level.